Following a successful Kickstarter, Franklin discusses how the graphic novel landed at Image Comics. Last month Bingo Love came out from Image Comics. Written by first-time graphic novelist Tee Franklin and illustrated by Jenn St-Onge, it’s a realistic love story that jumps from 1963 to the present before ending in 2038. It tells the story of two women, Hazel and Mari, who meet when they’re young and are reunited decades later. It’s a story with a happy ending, which is not to say that the book is not also a fraught and complicated journey for the characters. Franklin is known to many in the comics community for her journalism. 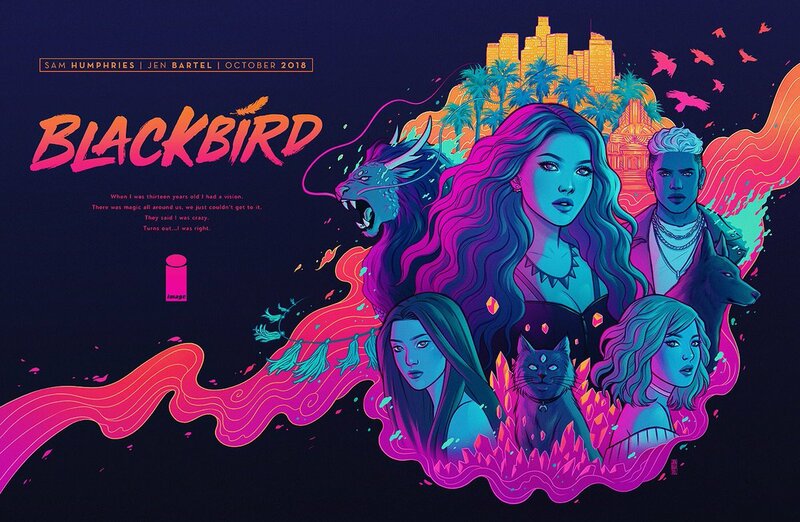 She’s written short comics for various anthologies, but after a successful Kickstarter, the book looks to be one of the breakout comics of the year. The book has already gone into a second printing before it was ever published, and Image isn’t run by fools; Franklin announced her next project at Image Expo shortly after Bingo Love hit the shelves. The successful Kickstarter project will hit stores just in time for Valentine’s Day. At this week’s New York Comic Con, Image Comics announced plans to publish Bingo Love, an original graphic novel by Tee Franklin, Jenn St-Onge and Joy San that was successfully Kickstarted earlier this year. The story centers on the love between two black women and explores how coming out at an older age can affect their families’ lives.